Produce CAD drawings and manufacture Jaw Access Platform to drawing number 2012-11-9713. Approx. 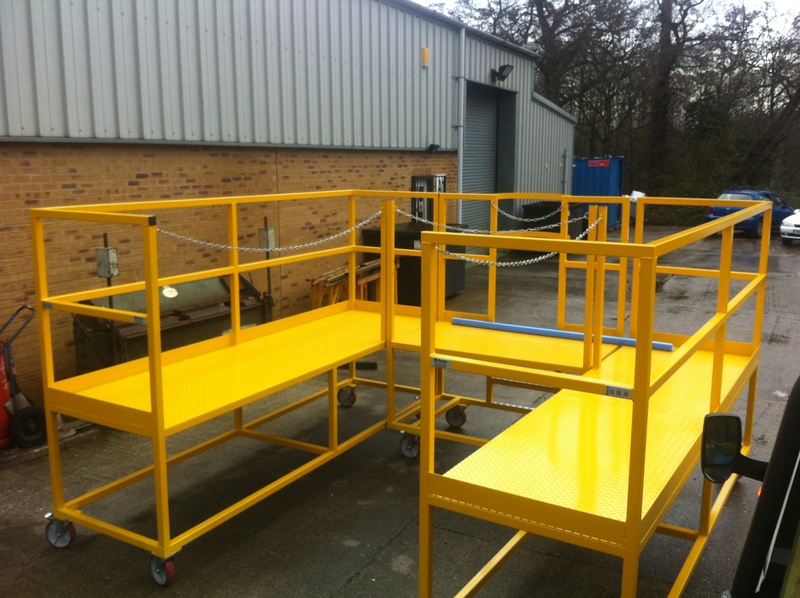 size: 3500mm (L) x 3720mm (W) x 1000mm (working height) – including handrails the highest point is 2100mm. Manufacture from 50mm box section and assemble with swivel and braked castors. The castors will be fitted with 200mm rubber tyred steel centred wheels with a load rating of 300kg per castor.